Did you mistakenly hard reset your device? or you just bought used device after that you hard reset it? 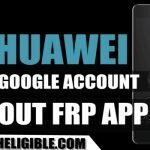 and then surely you will be facing google frp lock on your device, we will help you to get your device back, so try this method to Bypass Google Account HUAWEI 2018 Devices, this method will work for all Huawei Android 8.0, Android 7.0, and as well as Android 6.0 version devices. -Connect “Wi-Fi” to your device first, because without internet, we can’t bypass google account. -Go back to very first “Welcome Screen”. -Draw “L” on your Talkback tutorial screen to bring “Global Context Menu” popup. -Using your two fingers, go down & disable “Explore By Search” feature. -Now go down further, and tap on “Help & Feedback”. -Tap on “Youtube Video”, and then wait few sec, you will have some options on youtube video. -Tap on “Clock icon” on youtube video top right corner (See Below Image). 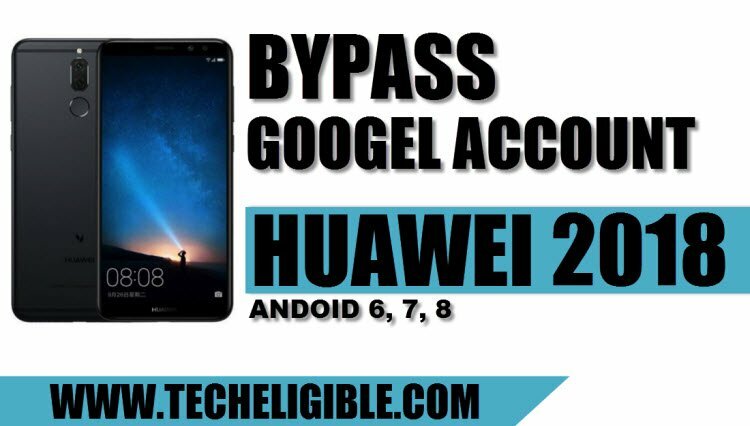 -Now you’ve accessed to YouTube website successfully, we need to login gmail account here to Bypass Google Account HUAWEI 2018 Devices. -Tap on “Share” bottom of youtube video. -Select the option of “Email”. -Now sign in with your any valid gmail id. -Once you sign in successfully, just open up “INBOX” over there. -Now we have to download frp bypass application in our any other Smartphone, after downloading that application, we will send that app to the email address which we have signed in already in our frp locked device. -Go to your any other smartphone. 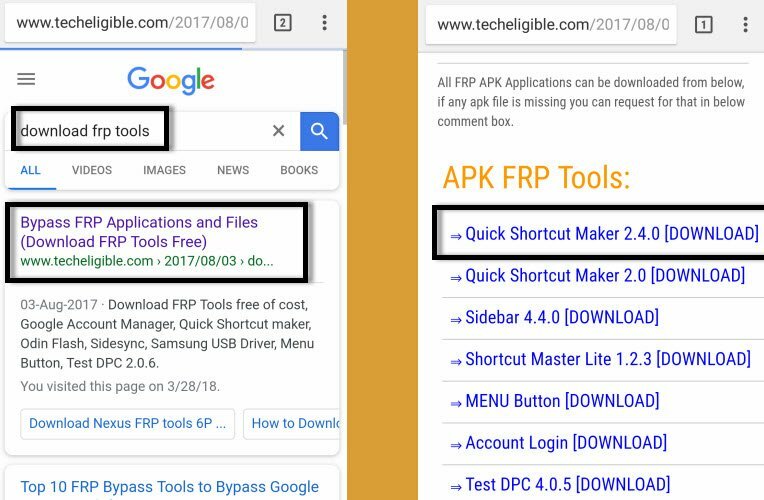 -Type in search bar “Download FRP Tools“. -Open 1st search result, that will be of “Techeligible.com” site. -Go down, and download from there “Quick Shortcut Maker” application in your smartphone. -Send your downloaded application to your email address, which you have signed in already in frp lock device. -Wait until you receive email. 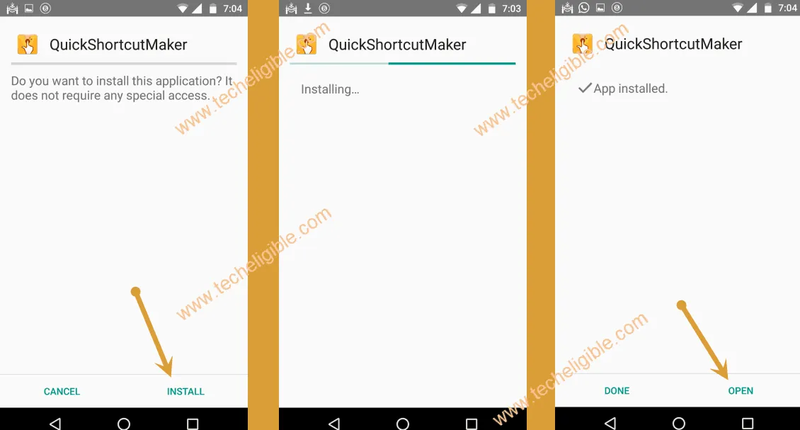 -Now from your FRP lock device, open that email and download attached application named “Quick Shortcut Maker”. -Once downlaoding finish, you will have a popup message regarding “Unknown App Installation”, just tap on “Settings” from that popup message. -Now enable “Allow App Install” option from there. -Afterwards, tap on “Install”, and then tap on “OPEN” to launch quick shortcut maker application. -Type in search bar “HOME”, and then you will have a list of “Huawei Home”. -Tap on “HUAWEI HOME” to expand it, after that tap on very first “Huawei HOME” option from list. -After that, tap on “Try”, and then select “Setup Phone”. -Congrats, you have successfully accessed to your Huawei home screen, but still we need to Bypass Google Account HUAWEI 2018 Devices. -Go to your device “Settings > Systems > About Phone”. -Tap on 7 times quickly on “Build Number” until you see a popup of “You are now a developer”. -Tap on “Developer Options” from there, and then enable “OEM Unlocking”. -Now reboot Huawei device by pressing “Power Key”. -After rebooting, your device will auto enter into “HOME SCREEN” without asking you any previously synced gmail id, congrats, you are done to Bypass Google Account HUAWEI 2018 Devices. -Now you can add your any valid gmail id to avoid frp lock in future, and next time you can access your device easily using your new gmail id. 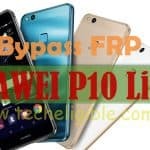 try this new method https://www.techeligible.com/2019/01/03/bypass-frp-all-huawei/, in this method you won’t need to install any app. what is your device android version? if you are unable to play video, then try to access other option that has “Text”, and then long tap at any text from there, after that you will find “ASSIST” OR “SHARE” Option, just tap on that to get you out from there. Hi, thanks for your quick answer and solutions. I did a FRP with the phone connected to the PC and installed the last Android version (downloaded with WIFI). With the new version I was able to it following your instructions. Thanks for sharing the info. hello admin my huawei has d latest security patch which doesnt allow quick shortcut maker to be installed pls what can i do? Did’t work on latest version of Talk back . have you installed app successfully ? I am able to download the apk attachment, but the device will not let me install it. It says that there is no appropriate app that can open the attachment. Is there another option?